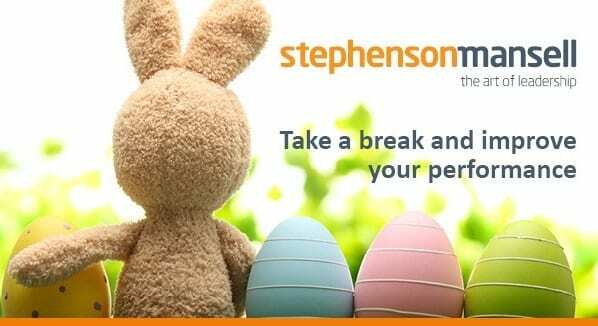 The Easter break is almost upon us and many of us are taking extra time off between Easter and Anzac Day for a ten day mini-break. This is a fantastic opportunity to refresh, regroup and reflect on what we are doing to sustain our performance throughout the year. Many of our coaching clients comment on the demands of rapid change, being connected to work 24/7 via their smartphones, and not having enough time to think and reflect. While this has become the new normal, it’s fair to say the side effects are having an impact. We are seeing increasing numbers of people experiencing stress, anxiety and frustration at work. They feel overwhelmed, particularly when faced with interruptions or unexpected tasks. Many are also not allocating enough time to coaching and developing their direct reports – or to making sure their own time management, delegation and self-management is in check. What’s interesting though, is that when it comes to the C-suite, behaviours are dramatically different. CEOs and their executive team members are more likely to be on time, well prepared, and focused on their own learning. Their diaries are not crammed, and they allow themselves space to embrace emerging opportunities. They recognise the importance of working on themselves, that is, the leader within. They understand the need to prioritise time for self-reflection as part of their own self-management and they treat it with the same level of importance as their executive team meetings. So, what can you achieve over this 4 to 10 day mini-break? The Easter break is an opportunity to take your cues from the C-suite, slow down, and find some balance. Personal self-management and resilience are key to sustaining performance in the current fast-paced environment and it’s never too late to make changes. When it comes to personal self-management, if you haven’t had a great start to 2014 or have been ‘too busy being busy’ to set goals, put some time aside and start making decisions. Create an image of how you would like your life to be – such as your health, family and work life balance – and start working towards it. Rate yourself out of 10 for the different areas of your work and home life and decide what you need to stop doing, start doing and continue doing. When we slow down, things we haven’t had time to think about come into our mind. Sometimes this brings up feelings and thoughts that are uncomfortable. This is just the normal cycle of processing our thoughts and feelings. Don’t feel the need to analyse or ‘fix’ your thoughts, simply let them flow. 1. Catch up on lost sleep. Try going to bed at the same time each night and waking up naturally. 2. Take a ‘real’ break. If you find yourself thinking about work, let the thoughts go. Close your eyes and focus on your breathing. 3. When catching up with family and friends steer clear of negativity, talking about yourself and stressful topics. Focus on what’s working and having an ‘attitude of gratitude’. 4. Get some exercise every day. Go for a long walk or run and enjoy the fresh air. 5. Show those who support you how much you appreciate them by doing something special together. The Centre for Creative Leadership also has some great tips on sustaining leadership and putting more balance into your life which you can read here. Virginia Mansell is an expert in executive coaching, mentoring and leadership. She is also the author of The Focused Executive, an important resource for CEOs and senior executives determined to perform at their very best, the 2nd Edition of which will be available in May 2014. In 1998, Virginia established The Mansell Group to provide coaching and leadership development services. 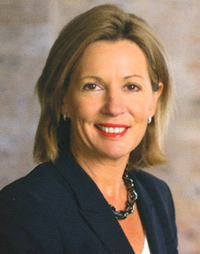 In 2005, she merged this business with The Stephenson Partnership to create Stephenson Mansell Group, arguably Australia’s longest-established executive development firm. Over the last fifteen years, the Stephenson Mansell Group has coached and mentored over 5000 executives in more than 500 organisations in Australia and internationally and has worked with 30 of Australia’s top 50 companies. In addition to her own experience as a business leader, Virginia brings to her role over 30 years of experience in human resource management, counselling psychology, psychotherapy and organisational consulting.